It's the beginning of the algorithmic blockbuster. 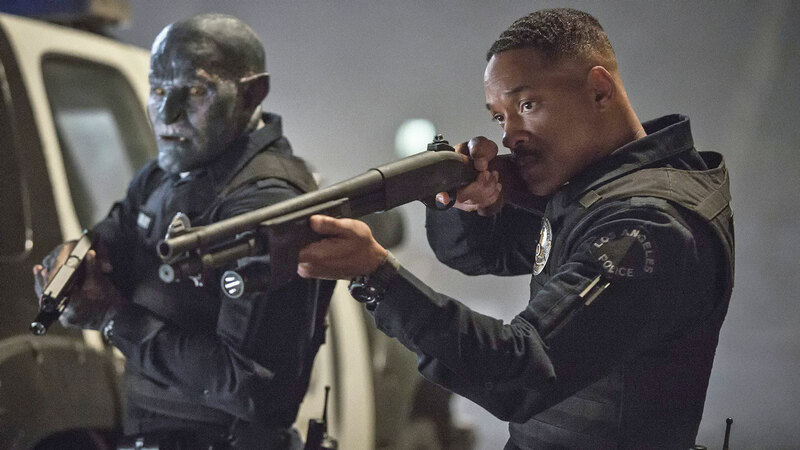 By most accounts, Netflix's big-budget Will Smith blockbuster Bright is one of the worst movies of the year. It has a 32% score on Rotten Tomatoes -- critics don't just dislike it; they've eviscerated it as an affront to cinema. Yet despite that response, which is particularly disappointing for a film with a $90 million budget, Netflix has reportedly greenlit a sequel with Will Smith attached. That doesn't make much sense at first, especially since the company can't bank on big box office returns like other studios. But for Netflix, it turns out hype matters more than quality. Bright, with its huge budget, world-famous star and Christmas release, was the crown jewel of Netflix's 2017 plan. Why trek out to a cinema in the cold when you could just hit a button and enjoy a new Will Smith movie on your couch? After all, you won't have to deal with rising ticket prices, expensive snacks and the hell of unruly audiences. That's been Netflix's value proposition for years, but now it's making that argument with the sort of blockbuster that would have sold out theaters a decade ago. Unfortunately, since Netflix doesn't release stats for its films, we don't have any numbers to back up the company's decision that Bright is successful enough to warrant a sequel. It could be that it saw an uptick in subscribers ahead of the film's release. Perhaps fewer people canceled their subscriptions than usual in December. Maybe international markets grew much faster than anticipated, thanks to the star power of Will Smith. Whatever the reasoning, the data must have been convincing. It's not too hard to see why Netflix subscribers might be interested in Bright. Like many of the company's original entries, it feels as if it was put together by an algorithm. It has Will Smith as a cop (like Bad Boys!) fighting supernatural forces (like Independence Day and Men in Black!) in a fantasy world (like Lord of the Rings and Game of Thrones!). Less compelling to audiences, but perhaps more reassuring to Netflix, is that it was also directed by David Ayer, who made the financially successful (but terrible) blockbuster Suicide Squad. He made a name for himself by writing Training Day, helming gritty cop films like End of Watch, and directing Brad Pitt in Fury. His films typically appeared among Netflix's trending lists, so it was only a matter of time before the company brought him in-house. Terrible movies being deemed hits is nothing new, but Netflix's algorithmic production style and opaque markers for success are particularly concerning. More so than with other studios, it doesn't actually matter if the company's original content is good, as long as it hits some mysterious metrics. Netflix plans to spend up to $8 billion on original content next year, so you can expect the budgets for its projects to grow even larger. While Netflix has long been praised for the freedom it gives creators, that strategy could be dangerous as it delves deeper into the world of blockbusters. Rather than being an antidote to the worst habits of Hollywood, Netflix could end up being yet another source of trashy big-budget films.